KABUL, Afghanistan NATO's top official said Thursday the alliance remains committed to help enable Afghan forces to assume full responsibility for the country's security after 2014, when coalition troops are due to end their combat mission. The statement by visiting Secretary-General Anders Fogh Rasmussen comes amid speculation that the U.S.-led alliance could accelerate its withdrawal plans. "Our goal is that Afghanistan will be able to stand on its own feet, but Afghanistan will not stand alone," Fogh Rasmussen said. NATO's governing body, the North Atlantic Council, was visiting Kabul for meetings with President Hamid Karzai, coalition military commander Gen. John Allen and commanders of the Afghan government's forces. The military alliance has also agreed to offer a smaller, post-2014 mission to help the Afghan forces with training, advice and assistance. 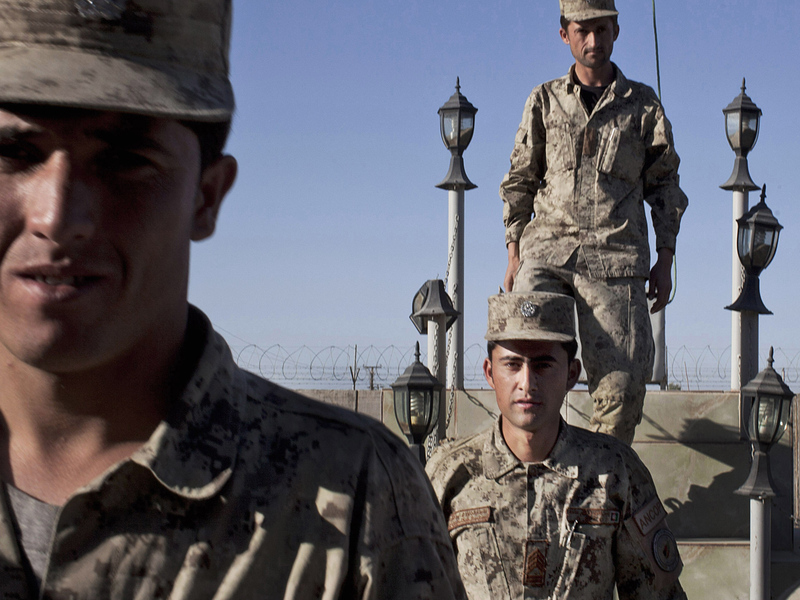 The strategy agreed to among NATO, its partners and Karzai's government is meant to enable the Afghans to take over the war against the Taliban and other insurgents by the end of 2014. NATO started drawing down its forces earlier this year. It currently has 104,000 troops in Afghanistan  68,000 of them Americans  down from 140,000 the alliance had here in 2011. Polls show the 11-year war remains deeply unpopular among NATO's 28 member states, most of which are cutting defense budgets at a time of austerity caused by financial crises. There have been calls in the United States and elsewhere to accelerate the drawdown plan.